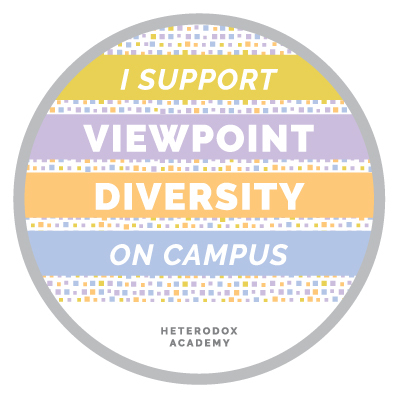 Musa Al-Gharbi’s recent post on the blog of Heterodox Academy is one of my favorites of all time from that group. But still, I have some comments/critiques regarding SOME of its content. I posted them as comments to his blog piece, but several days later they’re still apparently in “awaiting moderation” purgatory. For the record I’m posting them here. 2) Empirically testable, and in fact already tested. On the left: the concepts of positive liberty and outcome-based equality, justice, and fairness. And the liberal “grand narrative” (see The Righteous Mind) of a world history marked by the greed and oppression of he 99% by the 1%. In short, Sowell’s unconstrained vision and Haidt’s Story One about capitalism. On the right: The concepts of negative liberty and process based equality, justice, and fairness. And the conservative “grand narrative” of a world history marked by the liberation and prosperity of all people by those very principles. In short, Sowell’s constrained vision and Haidt’s Story Two about capitalism. The test: All of human history can be seen as one massive trial and error experiment in practically every variant of the two intuition sets described above. The results are in and they’re unequivocal. We know what works and what doesn’t work, and why. In the lecture “When Compassion Leads To Sacrilege” that Haidt gave at the Stanford University Center for Compassion and Altruism Research and Education (CCARE), he asserts, “The unconstrained vision has the worst track record in the history of ideas,” after which he explains why this is so. The short explanation is because the unconstrained vision gets human nature wrong, But holder’s of that vision are sure they are right because (they believe) they have reason on their side, so they feel that the ends justify the means, up to and including the use of force. Al-Gharbi’s suggestions, and Heterodox Academy generally (so far strike me as an ethics class. Proselytizing the virtues of viewpoint diversity and then expecting to see it in academia has about as much chance of success as does a class in ethics, and for the same reasons. A more effective solution, I suggest, must be twofold. First, as Nassim Nicholas Taleb suggests, there must be skin in the game. Universities should adopt AND THEN PROACTIVELY, AGRESSIVELY, ENFORCE specific, costly, sanctions against ideological discrimination as suggested by the 1974 Report of the Committee on Freedom of Expression at Yale (The Woodard Report). 1) Basic training on a. What constitutes valid evidence and a valid argument and what does not b. Some f the most prevalent logical fallacies and how to avoid them. 2) Basic information about human nature (mythbusting along the lines of Al-Gharbi’s essay above, and replacing those myths with science-based realities) a. how and why we humans ACTUALLY operate, i.e., the lessons of The Righteous Mind b. Relate that knowledge to actual historical and current events. This sort of epistemic certainty is one of the most dangerous aspects of ALL ideological thought, but leftist ideologies throughout history have been significantly more prone to it than conservative ones, leading to sorcerer’s apprentice grade mischief. For example, there’s truth in the old saying that the right thinks the left are good people with bad ideas whereas the left thinks the right are bad people. 2. The Michael Feingold example from The Righteous Mind, with which Haidt concludes his description of the study he did which shows that conservatives understand liberals better than liberals understand conservatives.